Dr Michelle Castelletti is a conductor, composer and curator with a passion for cross-Art and site-specific curation. She is also a Soprano and loves lyrical dramatic roles. After leaving her post as music lecturer and conductor at university, as well as the running of Sounds New Contemporary Music Festival in Canterbury, Michelle became the Artistic Director of the Royal Northern College of Music, as both an Arts Centre, and as a Conservatoire. 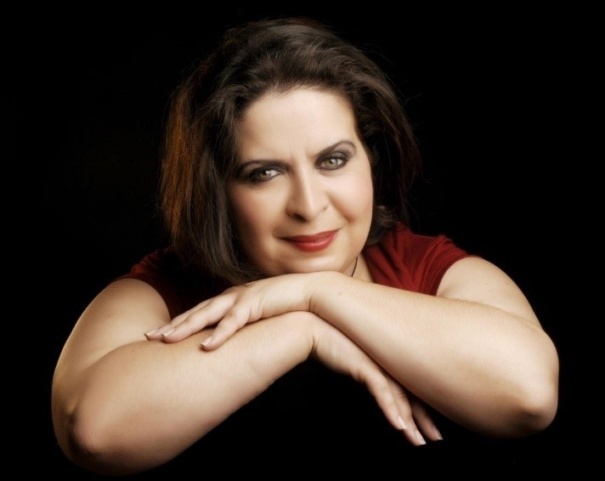 She has been invited as speaker on several national and international conferences, as well as auditions and jury panels, including the British Composer Awards, European Capital of Culture (Valletta2018) and Venice Biennale (for Malta). She has created and developed significant national and international partnerships. Michelle is the Artistic Director of the Malta International Arts Festival, with a remit to lead towards European Capital of Culture 2018. Some of her latest conducting performances include Charles Camillier’s oratorio Pawlu ta’ Malta together with the Malta Philharmonic Orchestra to commemorate anniversary celebrations at Mdina Cathedral, the winter season with Queen Mary University of London Chamber Choir, Carmina Burana with QMUL and Barts & London Music Societies, and an interdisciplinary evening with the Malta Philharmonic Orchestra, MPO a cappella choir and dancers. Other past “personal favourites” include conducting at Birmingham Symphony Hall, Richard Strauss and Mahler in Canterbury Cathedral, Respighi at the Manoel Theatre in Valletta, conducting soloist Carmine Lauri at the Valletta International Baroque Festival, the privilege of conducting the Canterbury Cathedral choristers, conducting Arvo Pärt’s music for Arvo Pärt himself, Stravinsky’s Firebird, and even a production of Sweeney Todd. Michelle has been privileged to work with some exceptional artists in her life. She has also curated Study Days at Wigmore Hall and taken performances to the Southbank Centre. Other projects she was involved in include BBC R3 Young Artists Day, BBC R3 live In Tune and Music Matters programmes and BBC Proms Portraits. She is the Creative Director of her own company Painting Sound and curator for a festival at Kings Place, London. One of her latest Britten arrangements conducted by Sir Andrew Davis was premiered in the memorial concert for Michael Kennedy. This concert received a five star review on The Telegraph and is now out on CD. She recently welcomed Krzysztof Penderecki as resident composer/conductor, culminating in the UK premiere of his monumental Seven Gates of Jerusalem, which received a five star review on The Guardian. Michelle feels privileged to have nominated and presented Penderecki with an honorary degree. Michelle is on the Board of Directors of the Incorporated Society of Musicians, Trustee of the ISM Trust and of ORA Singers, and Governor on the Board of the Conservatoire for Dance and Drama. Michelle is also member of the Creative Industries Federation and the Oxford Union Debating Society, and Fellow of the Royal Society of Arts. Michelle’s performing edition of Mahler’s (unfinished) Tenth Symphony was published by Universal Edition, Vienna. This was also premiered in Finland by John Storgårds and the Lapland Chamber Orchestra. Since then, it has been taken on by other ensembles in different countries, and has been on worldwide broadcast. Only last winter it was recorded by BIS Records, and should be out in the shops this year. Michelle loves creating projects in beautiful, evocative buildings, galleries, museums and in atypical spaces to fuse visual art and sound, dance with word, projection with architecture. One of Michelle’s site-specific curated projects won the Times Higher Education Award for Excellence and Innovation in the Arts 2015. Michelle was instrumental in bringing a large-scale, interactive, multidisciplinary Philharmonia Orchestra education project – The Universe of Sound – to Canterbury. This project went on to win the Royal Philharmonic Society Award for Audiences and Engagement 2012/13. Other achievements include the ‘Destination Canterbury Award’ (Kent Culture Awards 2011). Michelle is thrilled to be reading for a part-time Masters of Studies in Literature and Arts at Oxford University, based on interdisciplinarity between the Arts. Michelle is published by Universal Edition, Vienna and recorded by BIS RECORDS. She has just been appointed Director of Oxford Festival of the Arts.